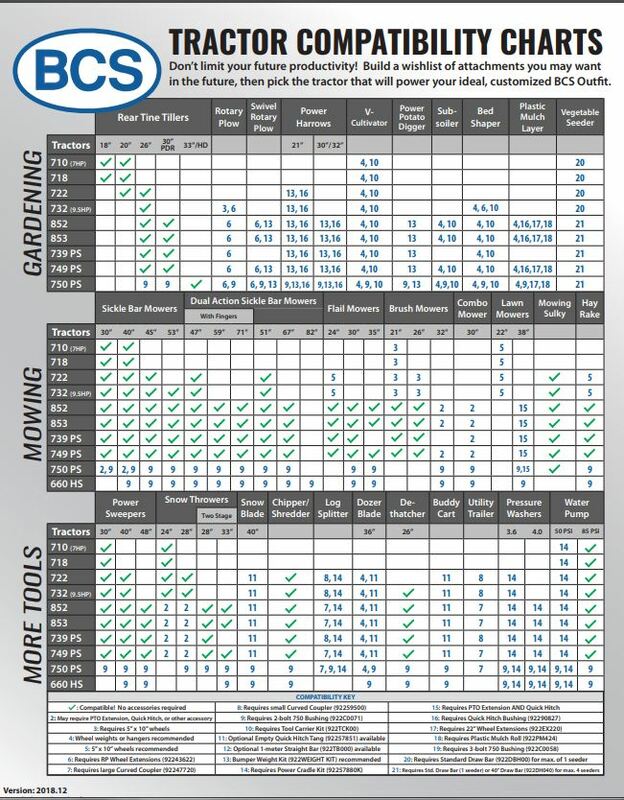 The V-Cultivator (also called a Spring Tine Cultivator) is versatile and easy to use. Easily connected to a Fixed Tool Carrier, the V-Cultivator has the ultimate variable width. The bars collapse or widen to a width of up to 31 inches, and five adjustable teeth can be situated according to the needs of the operator. Adjusting the width of the cultivator is easier than that of a BCS Tiller, with an adjustable wing nut situated in the center of the implement to expand or retract the wings. 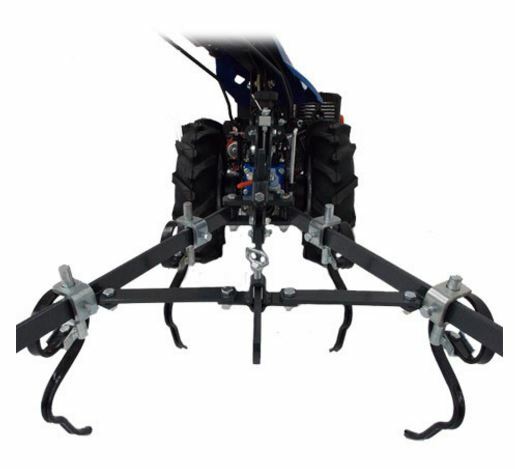 Adjustable wings expand for to a maximum width of 31”.